Ambassadors of the Propel Program pose in the New York Stock Exchange during their trip in October. The eight Northwestern students were allowed on the floor for the opening bell, an experience restricted to the public since 9/11. After its inaugural quarter, The Garage’s new Propel Program aimed at empowering female entrepreneurs has inspired a generation of entrepreneurs. Katherine and Steve Elms (Kellogg ’92) made a donation to The Garage with the intent of promoting female inclusion within entrepreneurship. This donation gave rise to the Propel Program, headed by Hayes Ferguson, assistant director of The Garage. The program provides both financial assistance and mentorship to female students at NU who are interested in entrepreneurship and innovation. Eight NU students traveled to New York City in early October with the program to meet with representatives of various fields. These students, who were invited to join the program based on their prior involvement with The Garage, served as ambassadors for the program to help spread the word. Weinberg sophomore Emily Winterhalter said she felt encouraged by the people she met while in New York. “I was just in awe, and, I guess, inspired to take risks, step forward, step up, take advantage of opportunities, create opportunities, kind of not sit back and wait for things to come to me,” she said. Winterhalter is currently working on a project called Track Trainer, a device that helps rehabilitate stroke survivors by having them complete simple tasks, such as flipping switches or turning knobs. 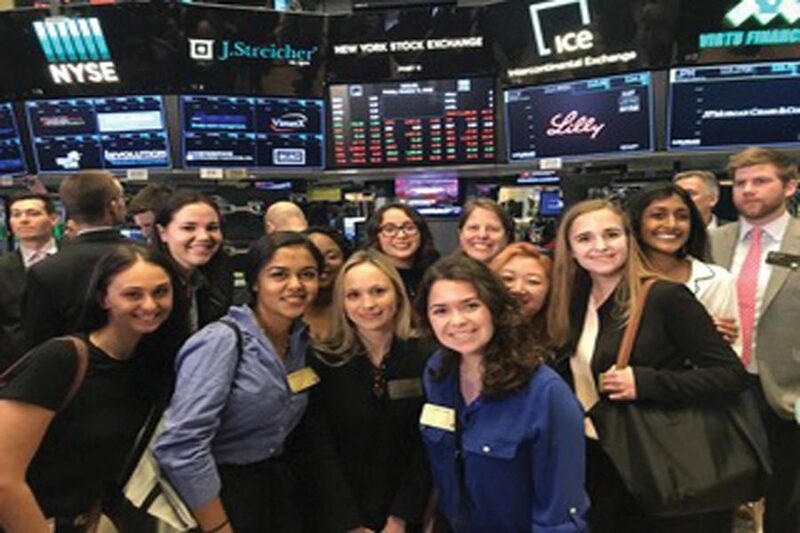 McCormick sophomore Aishwarya Jois, who also went on the New York trip, said the experience exposed her to non-traditional examples of entrepreneurship. While visiting Goldman Sachs, Jois realized she had never considered that finance could be entrepreneurial. “Getting to hear that advice straight from them and seeing how they’ve brought aspects of that into their careers in whatever way they want to … was really cool,” she said. Jois previously worked at a student startup at The Garage named Bossy Chicago, a directory promoting female-owned businesses, and later co-founded a company named Lens Education to enhance political education in high schools. She was then approached by Melissa Kaufman, the executive director of The Garage, to join the Propel Program. Inspired by Kaufman’s advice to open doors for others as an entrepreneur, Jois said she was eager to continue her work with empowering women, just as she had done at Bossy Chicago. The Propel Program is accepting applications for the next round of participants and accepted members will receive a stipend of up to $1,000. Ferguson said she hopes to receive applications from a variety of disciplines and stages of development. Correction: A previous version of this story misstated Hayes Ferguson’s title. She is currently the assistant director of The Garage. The Daily regrets the error.